Samsung continues to build hype for its IFA press conference with a new teaser video giving us a sneak peak of the Galaxy Note 4. After being a regular sight on our news feed in the build-up to IFA, the Samsung Galaxy Note 4 has made a brief appearence in a new teaser video. 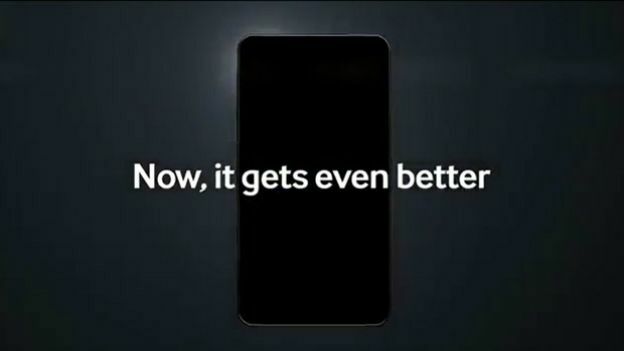 The sneak peak displays a silhouette of the phablet at the end of the clip, before claiming "Now, it gets even better." The teaser mainly focuses on the S-Pen stylus and the what it will bring to the phone. From what we've heard, the Galaxy Note 4 will sport a 5.7-in QHD 2560 x 1440 display, which would see it rival the LG G3. It will also reportedly pack a quad-core Qualcomm Snapdragon 805 processor, 3GB of RAM, and a 16MP rear snapper to boot. A 16-megapixel shooter is expected to feature, enhanced by optical image stabilisation. According to report, the Galaxy Note 4 will also adopt a metal exterior much like the upcoming Samsung Galaxy Alpha. The Galaxy Note 4 is expected to debut at Samsung's pre-IFA Unpacked event on September 3. If we hear any more news between now and IFA 2014, we'll update you on our Galaxy Note 4 round-up page so stay tuned. Is Samsung's latest phablet the best yet? Galaxy Note 4 to feature long range wireless charging?